Is Your Child Struggling with Problems Concentrating, Reading, ADD or ADHD? It Could be a Vision Problem! ONE OUT OF FOUR CHILDREN STRUGGLE WITH reading and learning unnecessarily because of undiagnosed vision problems, making vision therapy a simple and effective tool in helping children (as well as adults) overcome these obstacles to perform everyday tasks more easily and efficiently. Vision problems in children, other than simple refractive errors such as nearsightedness, farsightedness, and astigmatism are not uncommon. Vision problems such as eye alignment, amblyopia (“lazy eye”) or focusing problems, eye teaming problems and visual perceptual disorders require vision therapy. Left untreated, these non-refractive vision problems can cause learning problems, fatigue, eyestrain, and headaches. Visual Disorders are often significant contributors (or even the true cause of) diagnoses of dyslexia, ADD and ADHD. Addressing the underlying vision problems can go a long way in limiting and even eliminating the symptoms of these conditions. Read More about Vision Therapy and ADD and ADHD Here! Developmental Vision Disorders and Problems can be devastating to the social well-being AND the learning capabilities of your child. Disorders such as Amblyopia (“lazy eye”) and Strabismus (“cross eyed” or eye turns) can seriously impact your child’s ability to learn and thrive in school. Vision Problems are often a contributor (or even the root cause) of a number of learning disabilities. These include dyslexia and ADD/ADHD. Additionally, vision disorders often accompany other conditions such as autism, cerebral palsy, and more. Vision Therapy can achieve significant results in addressing the underlying development issues ―correcting the disconnect between the brain and the eyes. Vision Training or Vision Therapy also called orthoptics is an individualized program for the treatment of non-refractive vision problems. Eye exercises and tasks are tailored to the child's specific vision problem. The therapy can be performed in an optometrist’s office with additional visual tasks that the child will need to perform daily at home. Behavioral optometrists or developmental optometrists are optometrists who specialize in vision therapy and the treatment of learning-related vision problems. Undiagnosed vision problems often compound the symptoms of ADD or ADHD, and sometimes are the root cause of the diagnosis itself. The inability to see and interpret the visual input necessary for learning creates problems with attention span and cause restlessness and frustration both in and out of the classroom. can result from not being able to process the millions of pieces of visual information needed to learn and function in tasks that are needed every day. There are many symptoms that visual disorders, ADD and ADHD have in common. Please make note of the symptom checklist provided on this website. Vision therapy is not a corrective procedure for learning disabilities. It is important to note though that children with learning disabilities often have vision problems as well. Vision therapy can correct the underlying vision problems. These may be contributing to the child’s learning problems. Be sure to explain to your doctor the details of all your child’s diagnostics related to any learning disability. If the findings indicate vision problems as contributive factors to the learning problems, your doctor will typically wish to communicate with the child’s teachers and any other specialists to clarify the findings. Vision therapy is often a useful component aspect of multidisciplinary approaches to learning problems and ultimate remedies. Eye teaming and tracking, as well as perceptual issues can manifest as Dyslexia, such that words, letters and numbers appear to move or jump on a page. What often gets overlooked is that even with 20/20 vision (whether with corrective lenses or not), the problems with reversing symbols, words, and numbers can remain. Numerous children and adults have undiagnosed or untreated vision disorder that can be effectively treated or mitigated through Vision Therapy. Of course, true dyslexia can still be present after vision disorders are resolved, but often what was thought of as dyslexic symptoms can be reduced or disappear entirely once the underlying perceptual vision issues (e.g.eye teaming and tracking) are addressed with Vision Therapy. For more information about our vision therapy procedures, contact us today at . 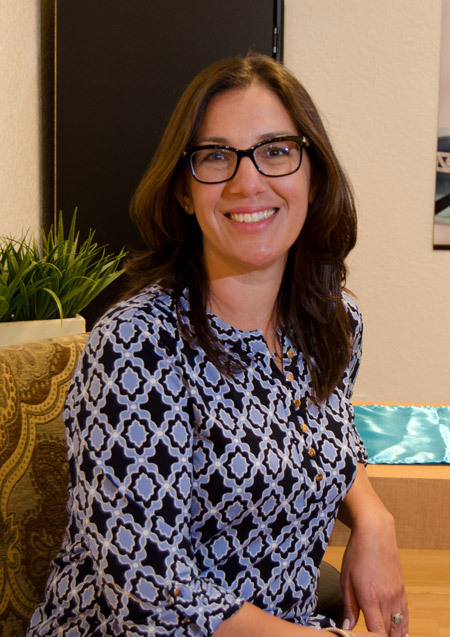 Our qualified developmental optometrist, Dr. Pino, is available to speak with you and discuss your options. Could Vision Therapy Eradicate the Need for Glasses? Most eye care specialist are in agreement that the self-help programs that claim to reduce refractive errors and the need for glasses are a hoax. There is no scientific evidence that these programs work. These self-help programs are NOT the same as vision therapy. Many studies confirm the effectiveness of vision therapy. Vision therapy is approved by the American Optometric Association (AOA) for the treatment of non-refractive vision problems. Not every vision problem can be helped with vision therapy. Children that can be helped must adhere to the established vision program. The degree of success with vision therapy is determined by a number of factors. The patient’s age and his level of motivation are key factors. As important is the patient's performance of all eye exercises and visual tasks correctly. Furthermore, the type and severity of the vision problem are taken into account when evaluating the level of improvement with vision therapy. The activities and therapeutic eye exercises prescribed as part of a vision therapy program are customized to the specific vision problem (or problems) a child has. For amblyopia, for example, the therapy normally includes patching the strong eye, in conjunction with visual activities or other stimulation techniques to develop visual acuity in the weak eye. Once visual acuity is better in the amblyopic eye, eye teaming exercises to further the development of clear, comfortable binocular vision to enhance depth perception and reading comfort, may be added to the treatment plan. If you even suspect your child has a vision problem which perhaps is affecting school performance, do not hesitate to schedule a comprehensive eye exam at our Miami optometry center to determine to what extent any problem exists. If learning-related vision problems are discovered your doctor will discuss available vision therapy programs and their relevance as a part of or holistic solution.